Digitization help student to explore and study their academic courses online, as this gives them flexibility and scheduling their learning at their convenience. Kidsfront has prepared unique course material of ELEMENTARY MATHEMATICS Simple And Compound Interest for CDS Exam student. This free online ELEMENTARY MATHEMATICS study material for CDS Exam will help students in learning and doing practice on Simple And Compound Interest topic of CDS Exam ELEMENTARY MATHEMATICS. 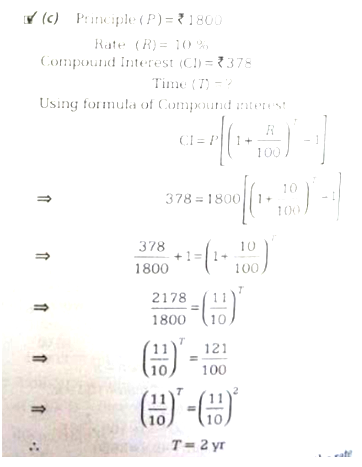 The study material on Simple And Compound Interest , help CDS Exam ELEMENTARY MATHEMATICS students to learn every aspect of Simple And Compound Interest and prepare themselves for exams by doing online test exercise for Simple And Compound Interest , as their study progresses in class. 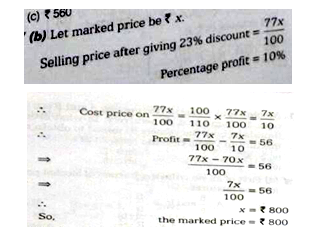 Kidsfront provide unique pattern of learning ELEMENTARY MATHEMATICS with free online comprehensive study material and loads of CDS Exam ELEMENTARY MATHEMATICS Simple And Compound Interest exercise prepared by the highly professionals team. Students can understand Simple And Compound Interest concept easily and consolidate their learning by doing practice test on Simple And Compound Interest regularly till they excel in ELEMENTARY MATHEMATICS Simple And Compound Interest . In how many years shall Rs 5000, invested at the rate of 4 % simple interest per annum , amount to Rs 6600 ? A sum is invested for 3 years at a certain rate of interest compounded annually. After 3 yeatrs the amount increases by 119.7 % . 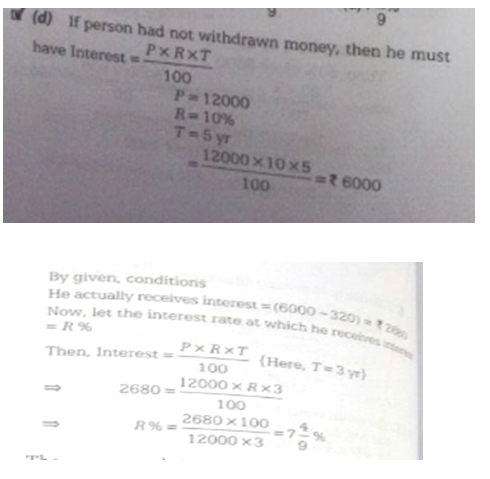 What is the rate of interest ? A sum of money doubles itself in 10 years at simple interest . In how many years would it become 5 times of itself ? A man buys land and pays 20 times its annual rent. What is the rate % ? At what rate percent compound interest does a sum becomes nine-fold in 2 years ? In how many years shall Rs 2500, invested at the rate of 8 % simple interest per annum , amount to Rs 3300 ?